Clare and Joe have been down in London since Friday night, and if you want to keep Joe happy on a Sunday morning in London, an exhibition on video games is going to be a good bet. The Victoria and Albert Museum obliges. 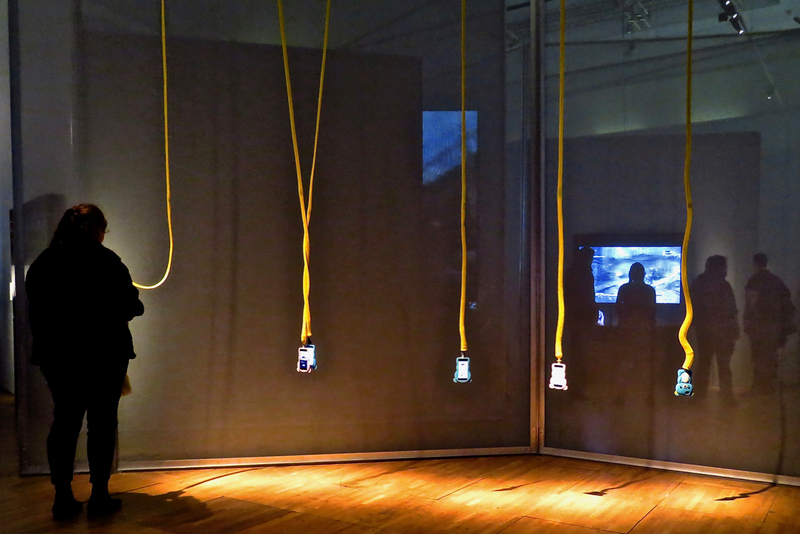 These are phones, hanging from the ceiling; the wires are more intended to stop visitors nicking them than anything else, but I like the effect, and the two knotted intimately together, left of centre. Last day of a run of five in London, and of this time away from home. Hebden Bridge hasn’t featured since 21st January, but it will tomorrow, because I’m now home and ain’t going anywhere. Well, not until Tuesday anyway. An exhibit in the Centre for Computing History, in Cambridge: basically a large unit on an industrial estate full of absolutely every old home computer and game system ever released (anyone remember the Jupiter Ace, for example?) — geek heaven in other words. 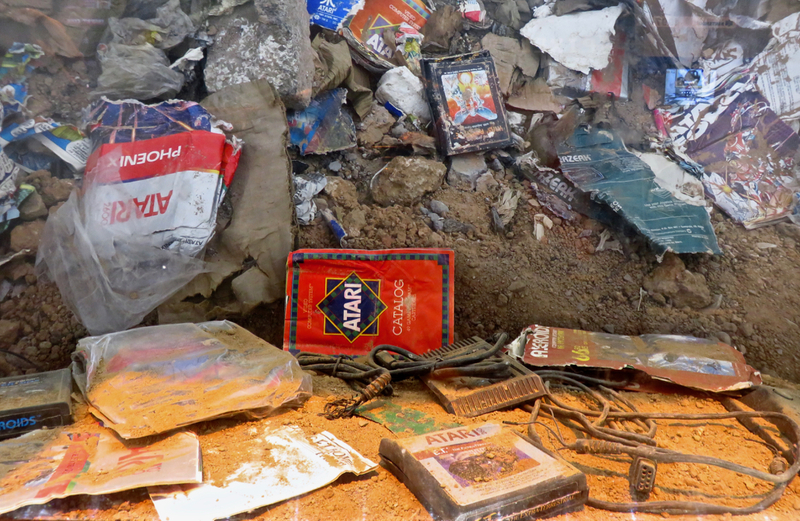 This exhibit is, apparently, all real landfill waste from somewhere in the USA — disposed of after the Atari market collapsed in 1982, all because of a very cruddy E. T. game, apparently. So it can now seem a metaphor for our consumer society, or something. Good museum though.